A New Collection of Dracula tales! The Prince of Darkness as never before seen! My thanks go out to all my contacts at Pegasus Books for my copy of this collection of vampire stories! Thank you so much! When one thinks of Vampire lore, Dracula will always be there. Bram Stoker fanned the fire of vampire stories, and new tales of vampires are created all the time. TV and movies have brought us vampires and vampire hunters, chasing hordes of bloodsuckers. Some are semi-heroic, such as Angel and Forever Knight. Dracula is the vampire king, portrayed by such film giants as Bela Lugosi, Christopher Lee, Richard Roxburgh, and Gary Oldman. With each actor that portrays Dracula, different versions of the character emerge. That could have been the inspiration behind the creation of this book. This book contains 33 tales of the Prince of Darkness. Each story is a unique look at this character and the genre of vampire fiction. 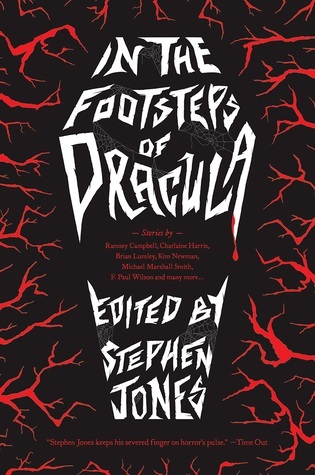 Such famous horror writers as Ramsey Campbell, Manly Wade Wellman, Brian Lumley, Basil Cooper, Kim Newman, and Hugh B Cave have contributed to this anthology. Read and discover Dracula as he moves about from country to country and city to city. Dracula is sometimes ruler of the world; sometimes a squalid bum. At times he is the ferocious predator; other stories portray him as an unwilling slave to humans that exploit his undead status. The stories paint Dracula from ancient times to the present and even dystopian futures. I still give the book five stars! Such a collection of the many sides of the Vampire King will no doubt become priceless very quickly!